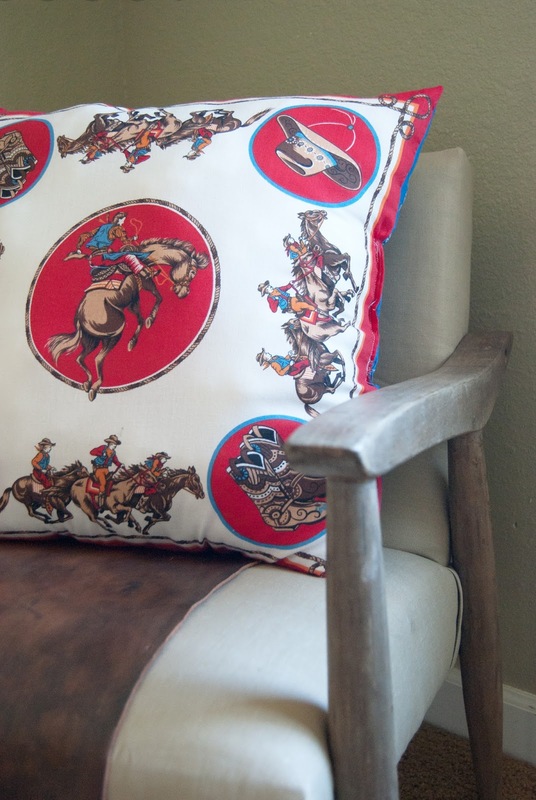 I mentioned last week that I have just one thing left to finish in Ever's room before the big reveal, well I haven't managed to sew curtains just yet (...as it was drill weekend and we spent most of the weekend in the car...fun fun...) but, I do have a simple little pillow tutorial for you today! 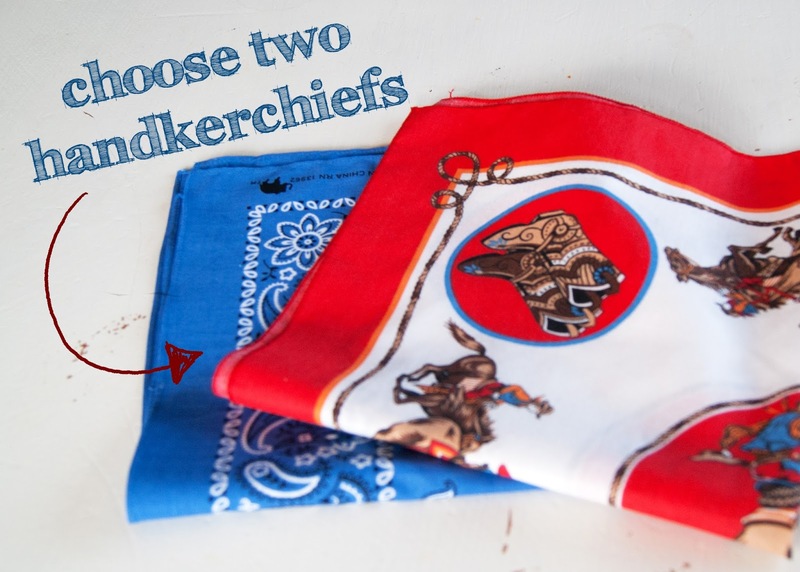 I've had this awesome western handkerchief for YEARS... or maybe the proper name is bandanna... I'm sure it depends on where you live. 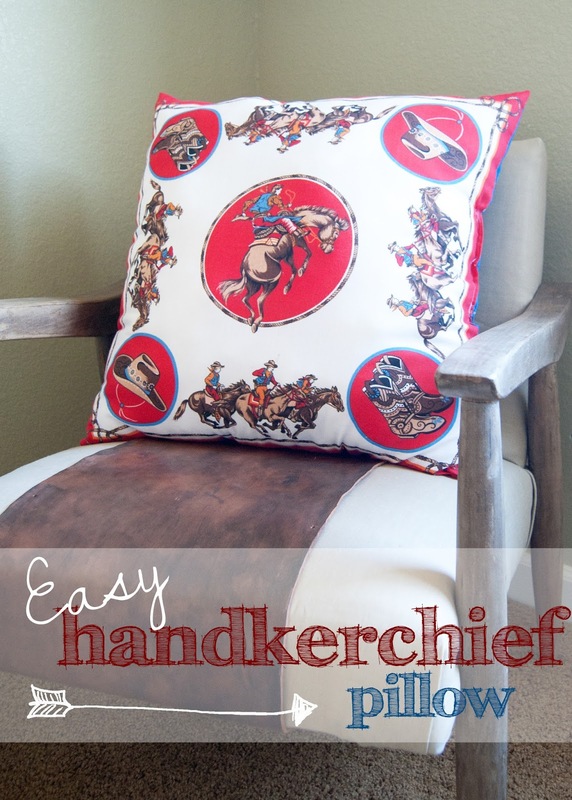 I always think of them as handkerchiefs because my grandpa always carried one with him - people rarely do anymore! I decided to put it to good use and on display in Ever's new Western room! It was super easy and took just under an hour to make ...and that is with the help of my 3 year old! 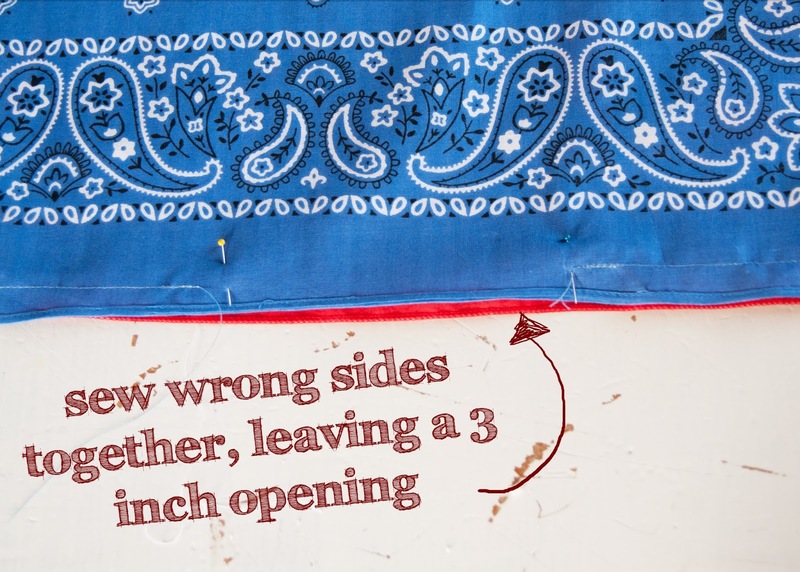 Pin wrong sides together and sew a 1/4 inch seam around edge- leaving a 3 inch opening on one side. 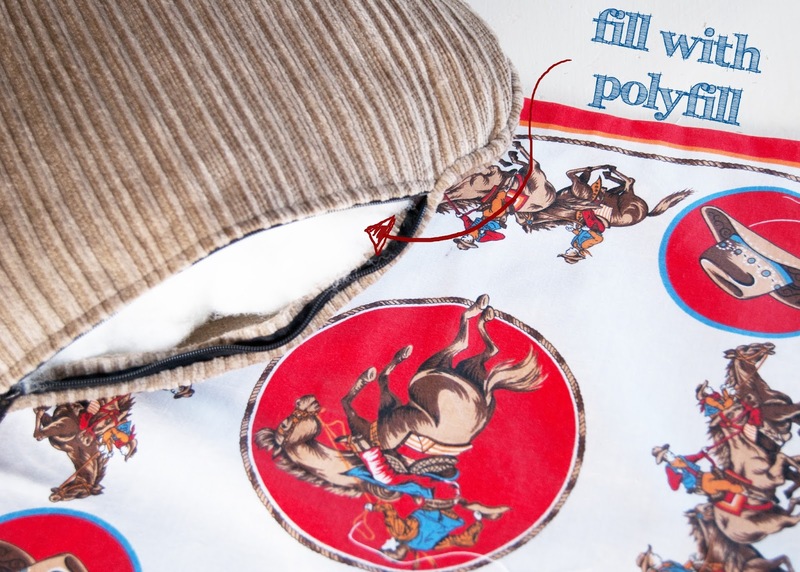 Turn your pillow form right side out and fill with poly-fill. I recycled some from inside the ugly pillows that came with our couch. Close up your opening. I ran mine through my sewing machine by pushing the poly-fill to one side and pinning the seam closed. It wasn't exactly the best way to do it and was a bit wonky, but you could close the opening using THIS TECHNIQUE for a much cleaner look. Sometimes fast wins over pretty in my book! Now you have an awesome fluffy pillow to snuggle on! Isn't it a fun pattern and totally unique!? I am pushing to reveal Ever's room by end of week, so stay tuned! 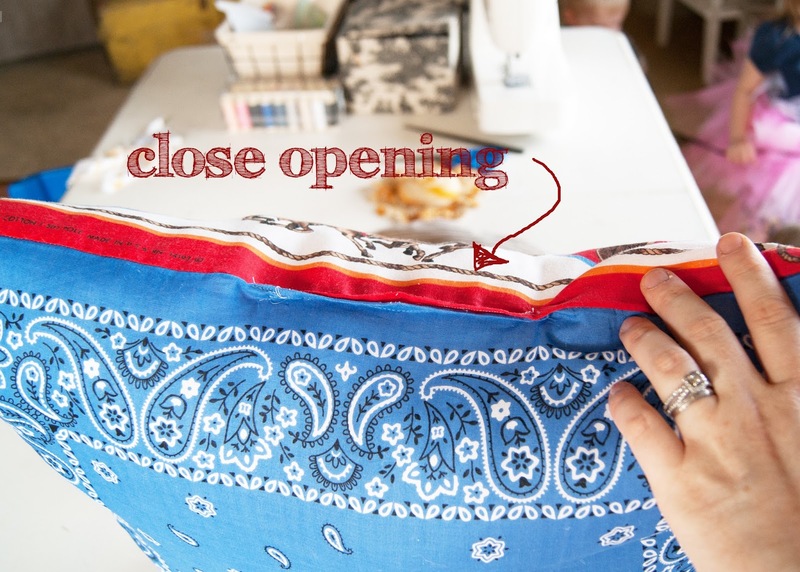 If you use this tutorial, I would love to see your finished project - just email me and you could be featured here at Averie Lane!